John Herbert McLeod was a pre med student at Queen's University who enlisted in Kingston. His attestation papers show that he lived at 406 Johnson Street. His brother Harold McLeod also enlisted with him at Kingston but he came from Washago Ontario to do so; he may have stayed with his brother during the time they were enlisting. 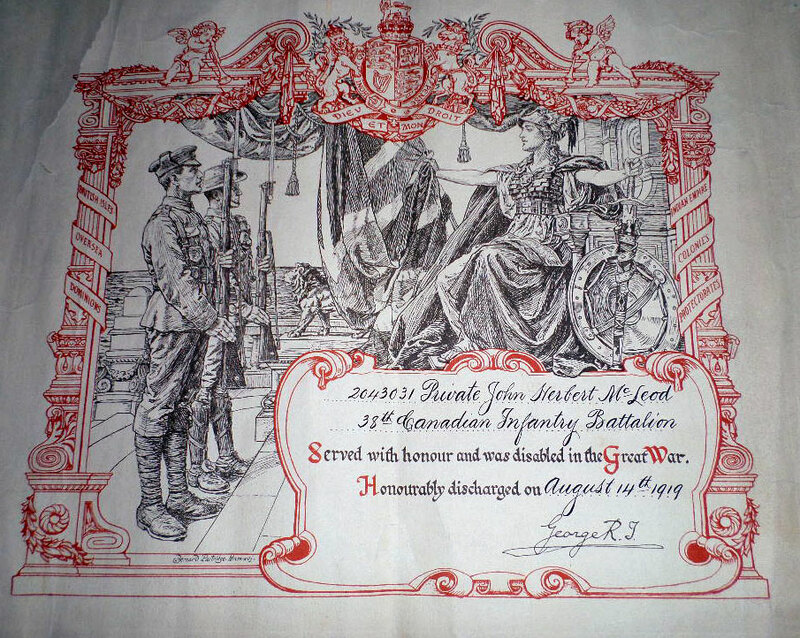 You can find more information about John on the entry “Private John Herbert McLeod,” from the blog Soldiers of the 38th. It mentions that his unit was commended for gallantry in battle near Bourlon at the end of Sept. 1917. 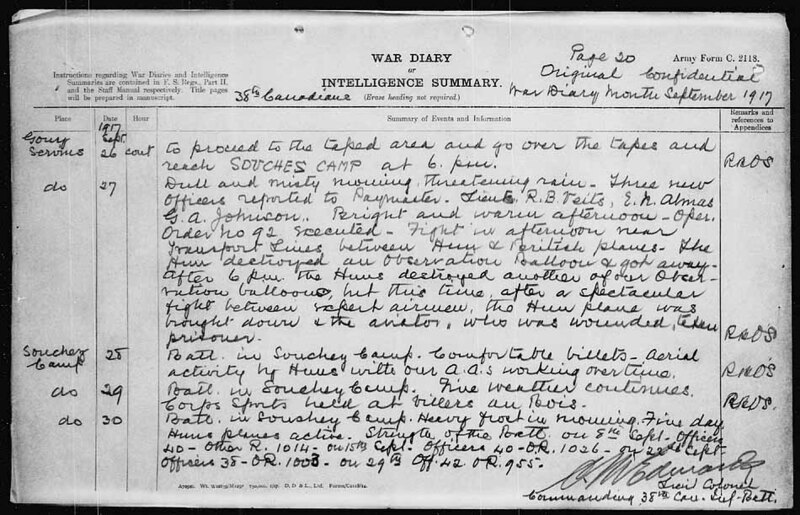 You can also find more on the relevant page from the unit’s war diary, and other pages from the war diary, from the Library and Archives Canada website. John was exposed to mustard gas during the war and on his return to Canada he spent five years in hospital in Toronto recovering. It was there that he met Annie Elizabeth McInnes, who had worked for two years in the war munitions factory in Toronto and was now volunteering at the hospital with the returned soldiers. They were married in 1920 on a weekend leave from the hospital. Despite the damage to his lungs, John lived to the age of 82, crediting his longevity to the fact that he had followed his doctor's orders all his life — many of his war colleagues who had been gassed all died before the age of 50. Many thanks to Catherine McLeod of Belleville, Ontario, for sharing this information about her grandfather, and the wonderful photo of his discharge papers.